Pinterest isn't just for us girls! Guys are discovering it too and finding all sorts of fun stuff they are interested in as well. My Hubby has his own account and pins things like BBQ, beer, recipes, and just fun stuff he likes. He doesn't pin a lot, but he likes to look around at what other people have pinned. This morning I woke up to find that he had been a busy bee creating a new Recycle Bin Hanger! This is a project that he has been wanting to do for a while now. 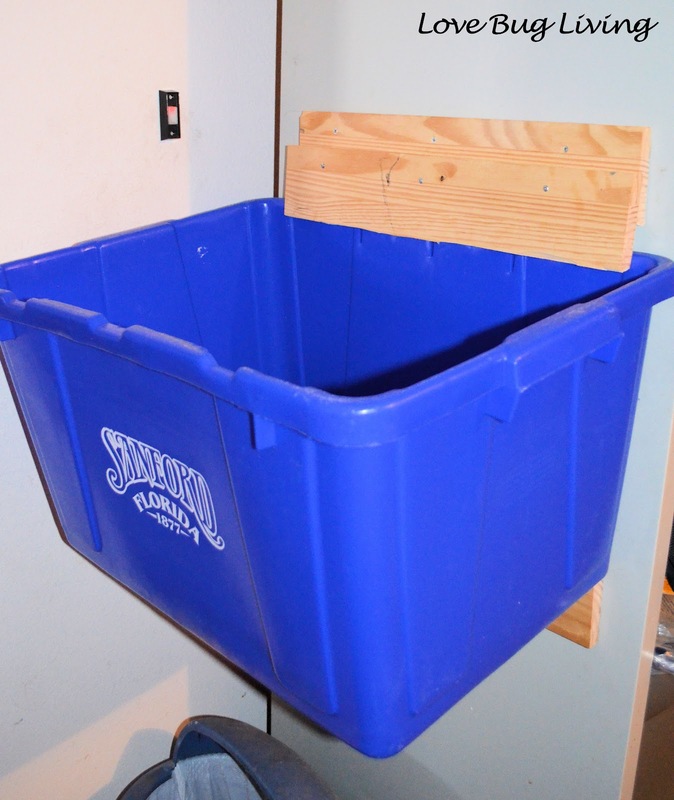 He made a little shelf before out of scrap wood so that our two bins could rest on top of each other, but he was never really happy with it. He thought it stuck out in the walkway too much. I mentioned that I had seen this hanger system on Pinterest and that he had to check it out. It was posted from The Family Handyman. I guess he liked it, because today he had one of our bins hanging on the side of a shelving unit we have in our garage. I guess it was pretty easy to make, because it wasn't there last night when I went to bed! 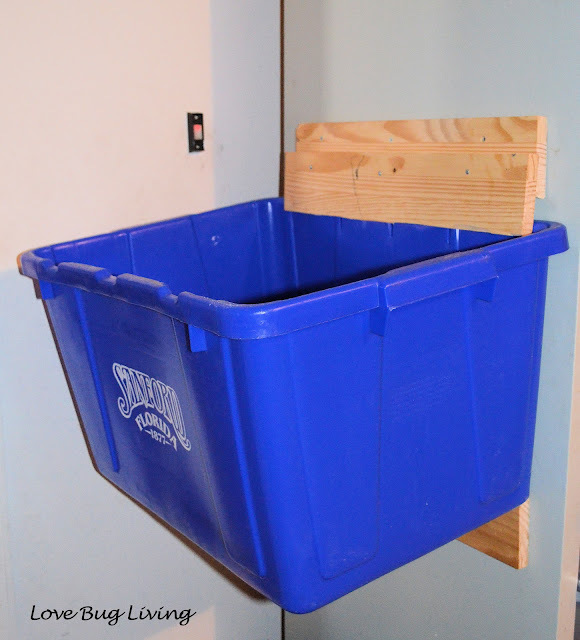 To get the instructions on how to make your own recycle bin hanger, head on over to The Family Handyman! Maybe your hubby will want to start his own Pinterest account and get pinning projects he'd like to do around the house! Ok, maybe not, but he might like it anyways. My cousins have these and I think they are awesome! We have a huge recycle can right now, but if we ever go back to bins, I will have to remember this.